It is not easy to focus my Japan Airlines (JAL) story on a single trip, as I have lots to share in my almost decade-old "relationship" with JAL. In fact, all my air travels within Japan so far have been on JAL and needless to say, I am definitely bent on adding more to my places to visit. 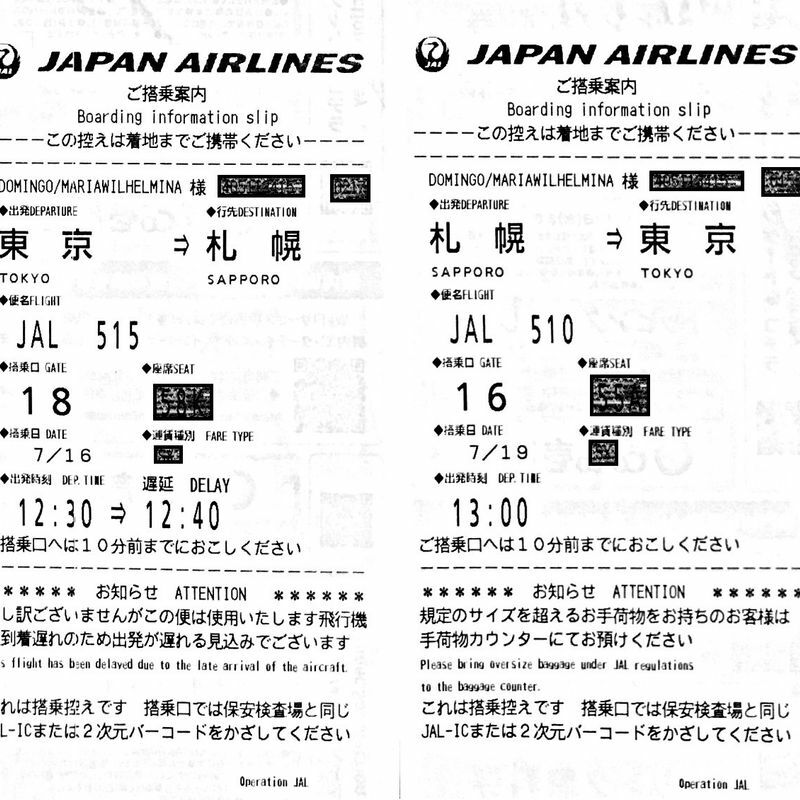 Some of my trips back to my home country, including my upcoming one this December, have also been on JAL. I have experienced flying to Sapporo (with my family), Hiroshima and Osaka. Also, I flew in to Kyushu the first time via Fukuoka and flew back to Tokyo from Nagasaki. I love Fukuoka so much that I went back last December, this time on a round-trip ticket. The JAL aircraft that I was going to be in on my flight to Fukuoka (the first time), as seen from the boarding gate at Haneda Airport. Our family trip to Hokkaido. July 2017. 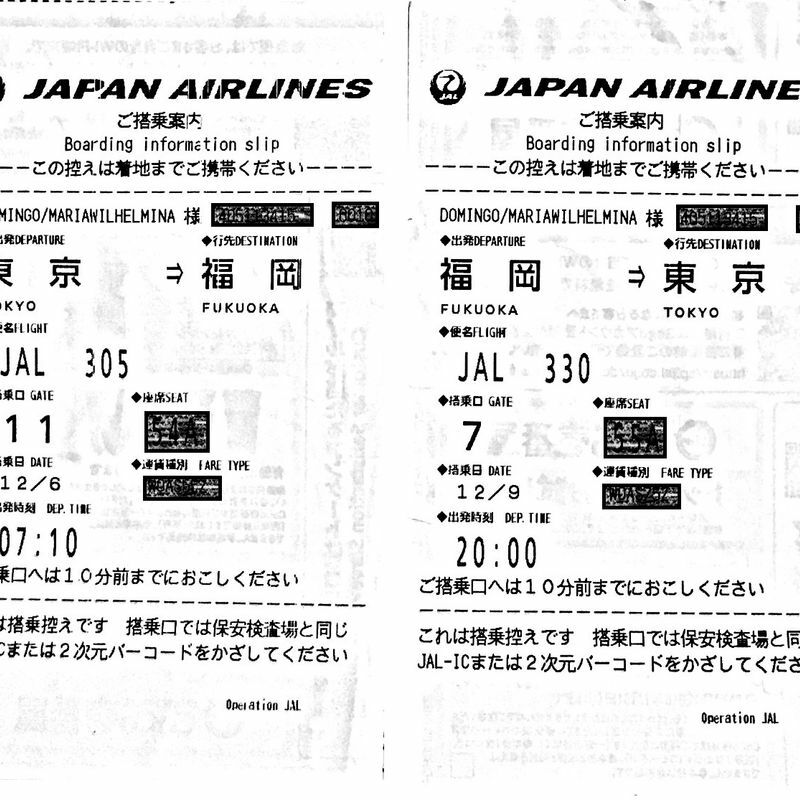 Copies of my boarding passes for the flights to Sapporo (above) and Fukuoka (below) in 2017. On all these trips, I was able to save a considerable amount on airfare thanks to JAL's Sakitoku fares, which allowed me to lock in my flights for up to six months in advance (unlike other airlines where you can only hold your flight for 24 hours) without having to pay. I was only required to pay about two months before the flight. As if getting less expensive flights wasn’t enough, in came the JAL mobile phone app which I thoroughly enjoyed using, despite my almost-zero kanji reading ability. I used its Mount Fuji view feature in choosing my seats during reservation. As a result, I had the privilege of seeing Mount Fuji from the air – twice! 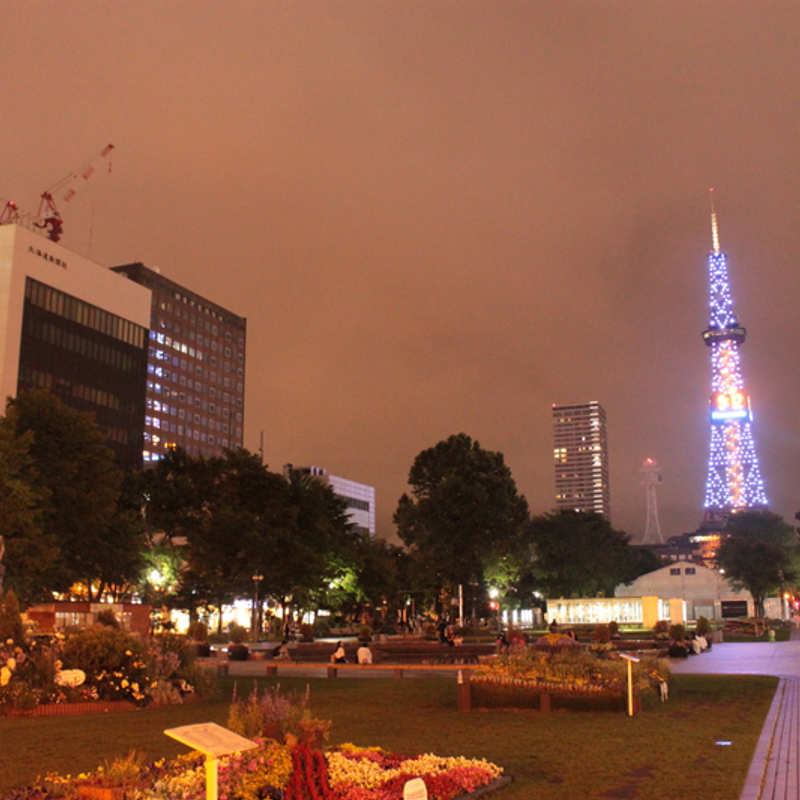 First was on my way to Osaka, and the latest one was on the latest Fukuoka trip (picture below). Hands down, that for me is the best way to view Japan's beautiful treasure. 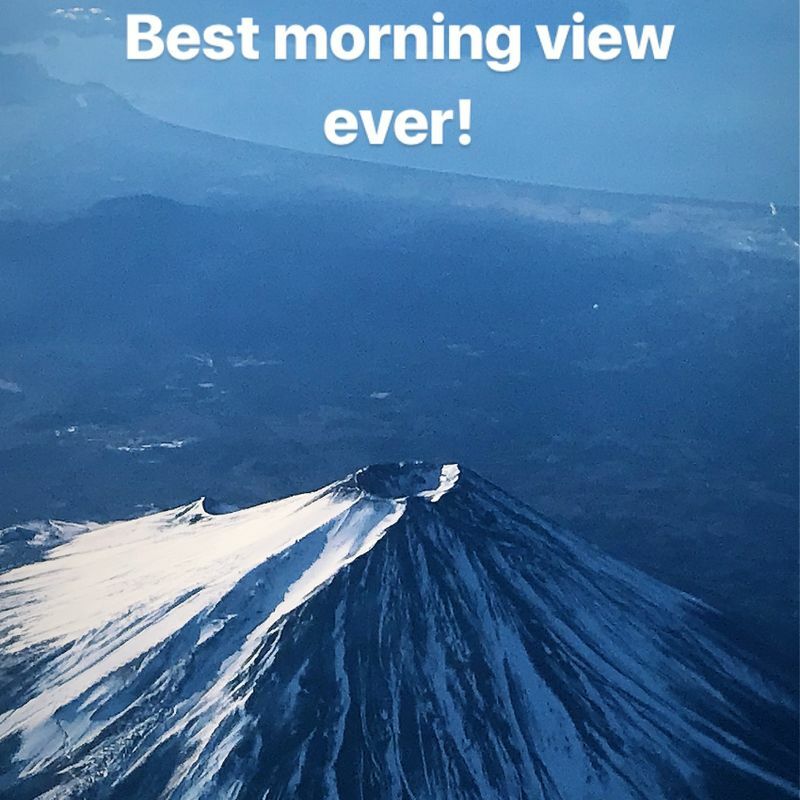 Thanks to free Wi-Fi, I was able to post this early morning Instagram story aboard my second JAL flight to Fukuoka, in December 2017. As a force of habit, I would always come to the airport two hours before my flight – even if it’s domestic – just to realize later that I didn’t have to. Yes, it happens to me each and every time! I don’t mind, of course, since it’s quite easy to kill time at Haneda Airport after the almost paperless check-in procedure. My JMB Waon card was all I needed to go through the gates. Once on board, in came another perk – the free Wi-Fi courtesy of Gogo. I am so grateful for that feature because it enabled me to use my time productively and not just sit idly during that early-morning, 2-hour flight to Hakata. I was able to do half of my work that day, and still had a few minutes to take and post on Instagram those pictures of Mount Fuji from the air! I also would have to mention the comfortable legroom – a feature that, on short flights, is often negligible for some but not for others (i.e., long-legged people). Initially I thought of upgrading to a Class J seat for a little more comfort but soon realized that I’d still be fine with the economy seat. Maybe in a future domestic flight. 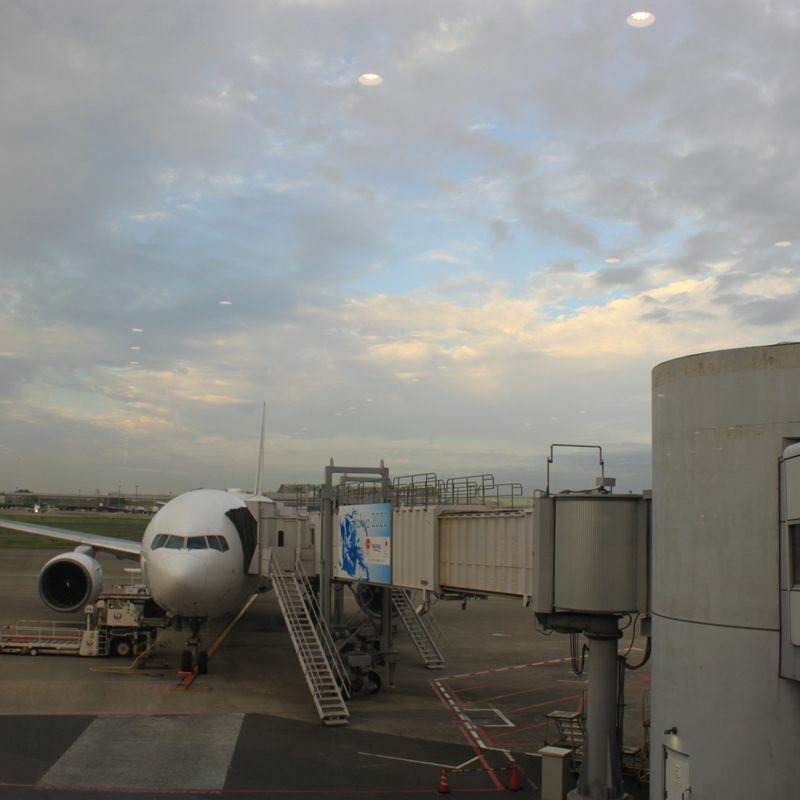 My very first round-trip flight to Japan from Manila was via JAL. It was about 9 years ago and roughly 2 years before I eventually moved here. 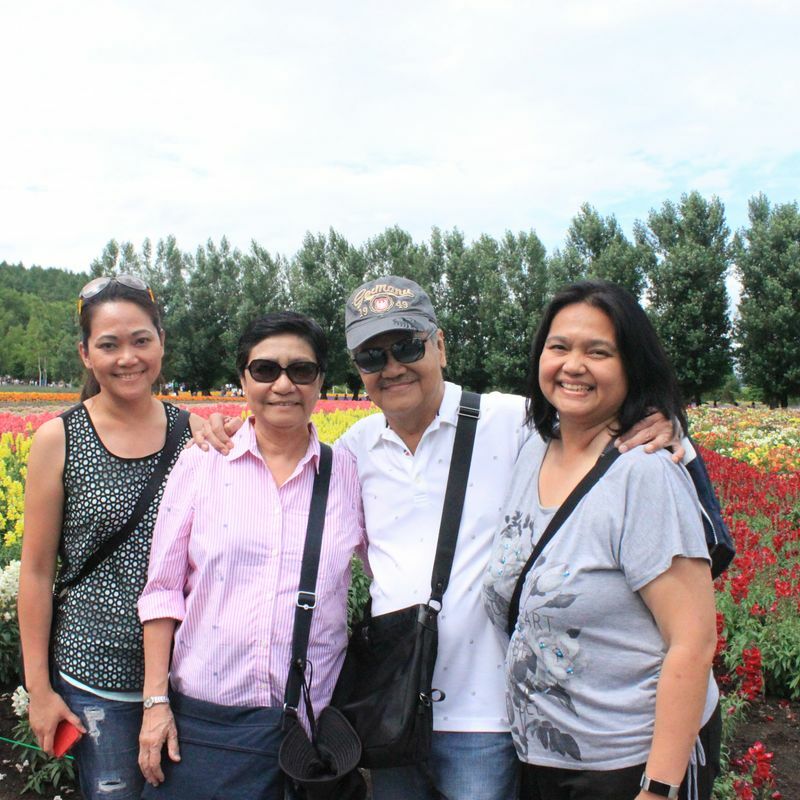 My parents and I were to visit my sister who, at that time, had already been living in Japan for four years. 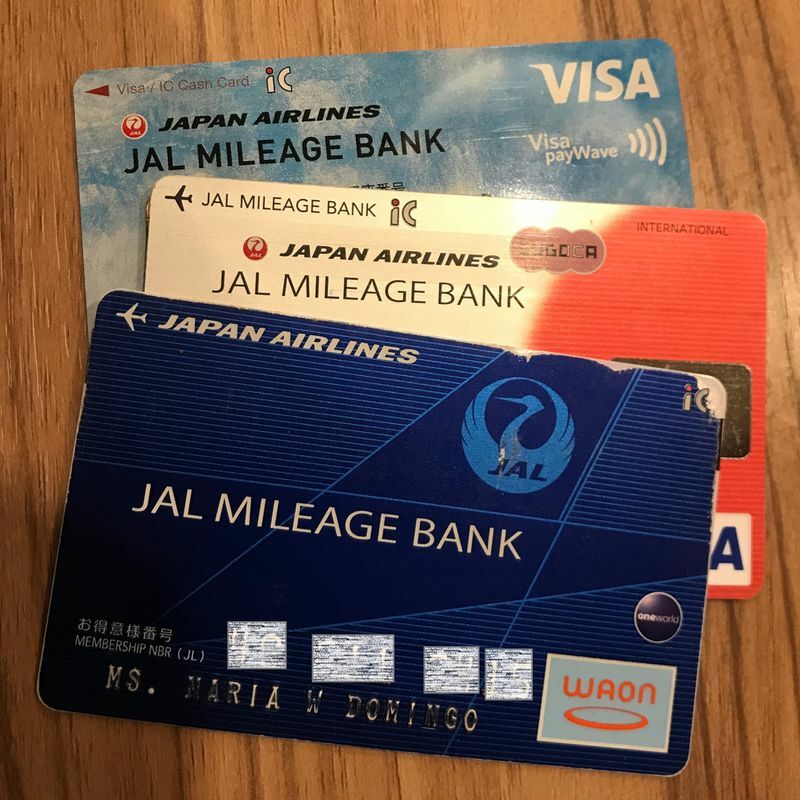 When I found out that we would be using JAL, I immediately opened JAL Mileage Bank (JMB) accounts for us - just for good measure. My sister had opened her own account way before. 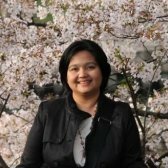 As we were living in the Philippines then, naturally our JMB accounts were under the Asia/Oceania region. I quickly transferred mine to the Japan region when I eventually moved here. Looking back now, perhaps my mileage collection "hobby" had already started way before I moved. It just got worse, I mean enhanced, once I got here. Just some of the payment cards I have collected as a result of my efforts to build up my JMB account. Over the years, because of my borderline obsession with mileage collection, I have saved a considerable amount on my subsequent homecoming flights - thanks to the 1:1.5 exchange rate of miles to the e-JAL point (1:1.2 if you prefer the JAL Coupon). On one of those trips, the JAL ground staff offered to check-in the souvenirs that I had shopped for at Narita airport. You see, I am the kind of passenger who would rather not use the overhead bin as much as possible. That gesture from the JAL staff was, for me, such a pleasant surprise that I will not easily forget it. Overall, my flight experiences with JAL have always been pleasant and given the chance, I would love to have more travel experiences with JAL. For now, my quest for ways to build on my JMB account to finance my future travels – er, my “affair” with JAL and JMB – continues.